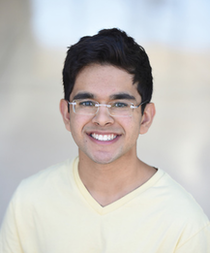 Over the summer, senior Ayush Alag received a $10,000 grant from genetic research company Illumina to continue his research into food allergies, which led to the creation of his own company, Allergezy. The company aims to develop a safe and accurate means of genetic testing for allergies. Alag’s original research, which he pursued due to his own experiences with food allergies, was the basis for the project he submitted for the 2018 Synopsys Science & Technology Championship, which won a first award in the bioinformatics category. Recently, Alag was selected to give a poster presentation at the American Medical Informatics Association’s 2019 Informatics Summit in March, an opportunity typically reserved for medical professionals and graduate students. More information about Allergezy, its team and its mission can be found on the company’s website, which is maintained by Alag’s brother, Shray, Allergezy’s VP of marketing and web design.